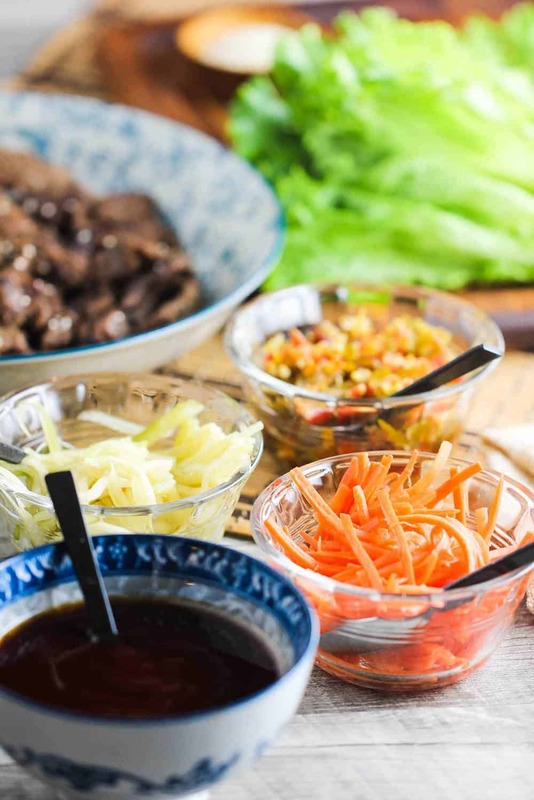 This Korean Beef (Bulgogi) Lettuce Wraps recipe is just simply to die for. The Loon and I have a love affair with almost all types of Asian cuisine, and Korean is definitely one of our top favorites. The bold flavors from the beef, which is called ‘bulgogi’, and the Korean BBQ sauce, along with the incredible condiments make this one of the most delicious bites you will ever encounter. 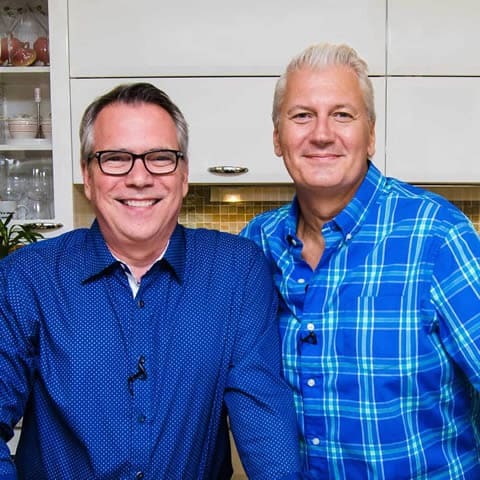 Watch us show you how incredible this dish is, and how it’s really not very difficult to make at home! 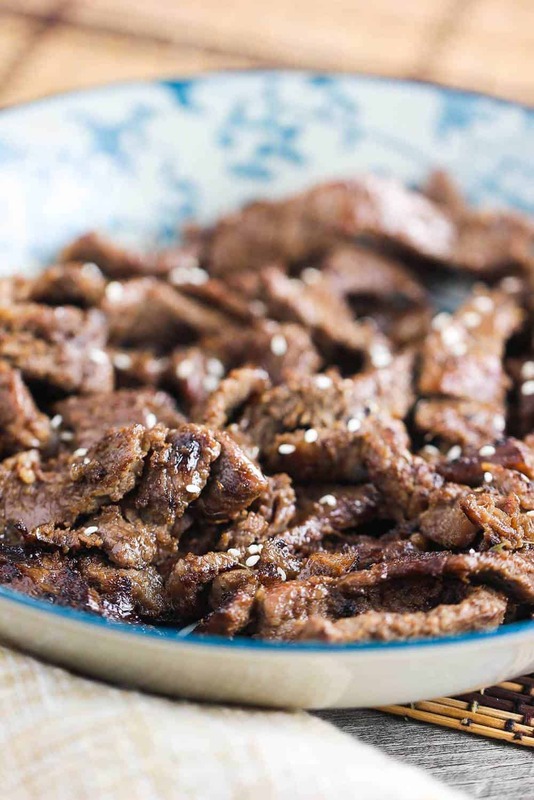 We love making Bulgogi for Korean Lettuce Wraps! Get ready for taste overload! 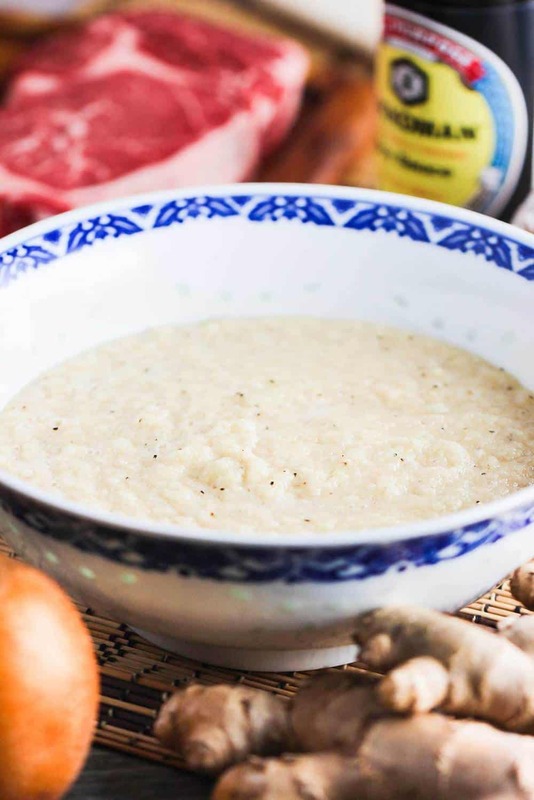 The bulgogi marinates in the most luxurious sauce that consists of pureed Asian pear, onion, ginger, garlic and Asian aromatics. We love to use a nice marbled piece of beef like a boneless ribeye, sliced nice and thin! We’ve got the makings for something amazing! Traditionally, the beef is grilled on a Korean-style BBQ pit with a fine-mesh grate that keeps the meat from falling through. That, of course, is wonderful. But, don’t despair if you don’t happen to have a Korean-styel BBQ pit at your disposal…they cook up beautifully in your skillet or a wok. So much flavor in this bulgogi! 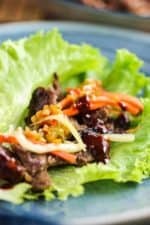 The bulgogi is definitely the star of these amazing beef lettuce wraps. But, the condiments play an equally important role in the show-stopper of a meal. We absolutely love julienning carrots and cucumber and then pickling them by letting them soak in apple cider vinegar for 2 hours or overnight. 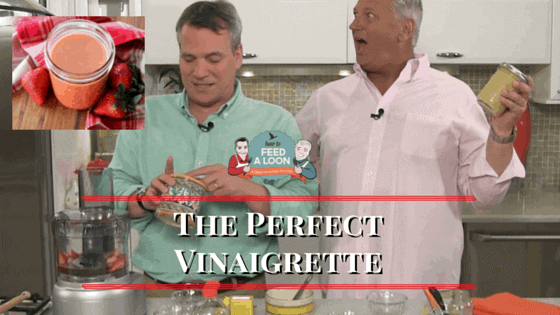 Throw in some chopped pickled jalapeño, toasted sesame seeds…and homemade Korean BBQ sauce, and you’ve got the perfect lettuce wrap – right within reach! Now, a word about that Korean BBQ sauce. The key ingredient is gochujang, which is a Korean hot pepper paste. It’s really not too spicy, but loaded with flavor. You can find it at your local Asian food market, or by clicking here. 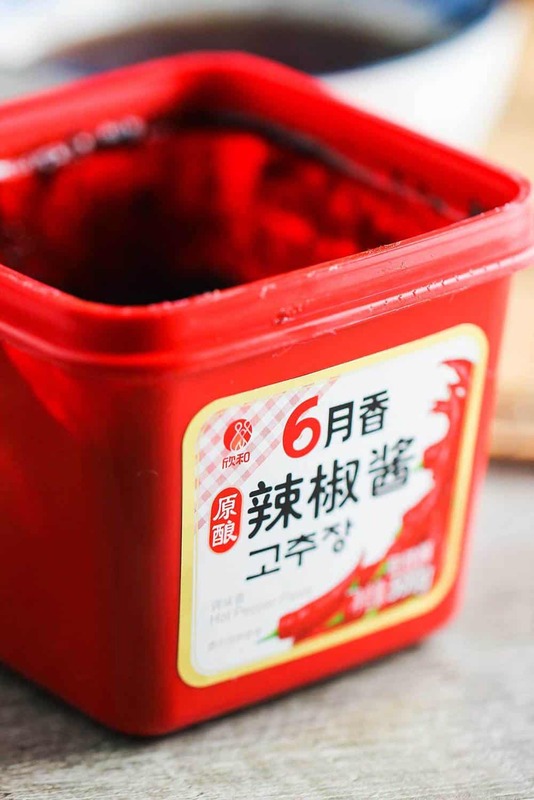 Combine the gochujang with sesame oil, apple cider vinegar, some sugar and fresh garlic…and you’ve got one of the tastiest condiments you’ll ever try. 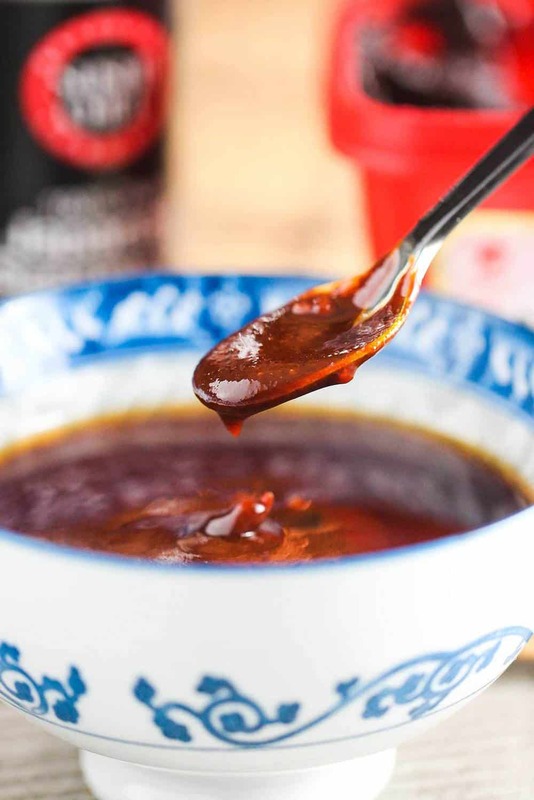 We just love this Korean BBQ sauce much. Major flavor explosion! Wow, is this stuff good. Okay, we just need to re-iterate…this Bulgogi Lettuce Wrap is over-the-top delicious. And perfect for serving a group of people. Just set the bulgogi, lettuce and condiments out, and let your guests build their own wraps. So much fun, and incredibly delicious. 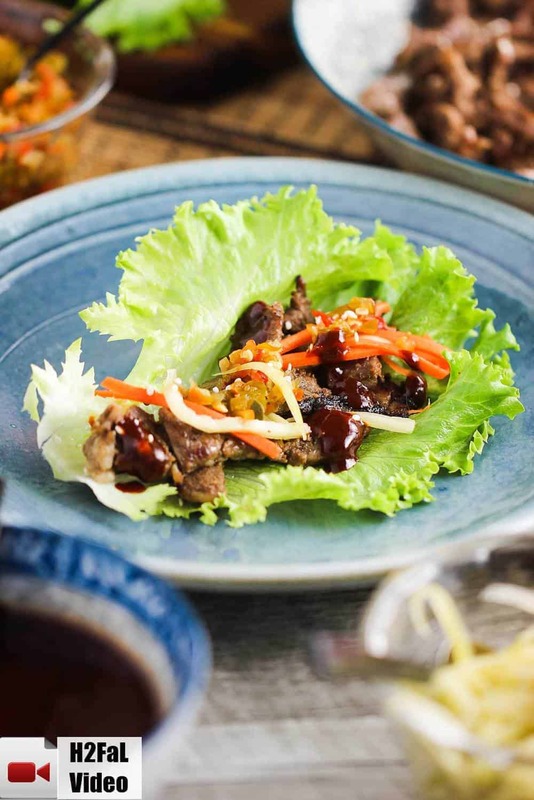 Just look at that…don’t you want to make this Korean Beef (Bulgogi) Lettuce Wrap recipe? Now is the time! Seize the moment and go make this incredible Korean Beef (Bulgogi) Lettuce Wrap recipe! Korean Beef (Bulgogi) Lettuce Wraps are unbelievably delicious. The bulgogi is the Korean BBQ beef, and it's over the top good. Add julienne carrots and cucumber, and some sliced pepper, topped with Korean sauce, all in a lettuce wrap, and the flavor profile is through the roof good!! *Available at Asian markets. Substitute Sriracha sauce if you can't find gochujang. Wrap the meat in plastic wrap and place in freezer for 30 minutes. Mix the garlic, pear, onion, ginger, green onion, soy, oil, brown sugar, honey, pepper and sesame seeds in a medium bowl. Remove the meat from the freezer, and using a sharp knife, cutting against the grain, slice into thin pieces. Place the sliced beef in a large freezer plastic bag, and then add the marinade. Seal, and place in the refrigerator for 1 hour or overnight, up to 24 hours. Using a large skillet, such as cast iron, heat over high heat. Add the meat to the skillet and cook until browned and much of the liquid has evaporated. About 4 to 5 minutes. (It's okay for some of the marinade to go into the skillet with the meat). Sprinkle with the toasted sesame seeds. Mound the lettuce leaves on a plate and place all the garnishes in bowls. Place meat in a lettuce leaf and add desired toppings. Mix all the ingredients together in a small/medium bowl.